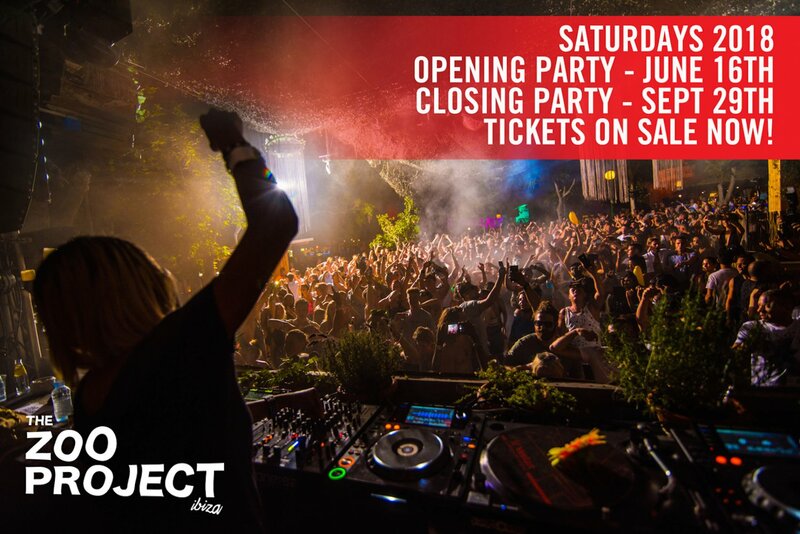 All you party animals out there can start getting ready for another season of The Zoo Project. One of Ibiza's favourite and longest running open-air parties, The Zoo Project returns in 2018 for another season of the authentic Ibiza experience. The unique festival-style party continues to be an essential experience for anyone on an Ibiza holiday. Here is your chance to get it at a great price, too, with these limited super-early-bird tickets. The party will be running from Saturday 16 June to 29 September at Benimussa Park, a venue like no other on the island. As always, this outdoor fiesta blends some of the most creative performances and productions with top-notch electronic music. For a very limited time through Christmas, super-early-bird tickets are on sale for €15 (instead of the €50 at the door). That means you will be paying less than half price for the standard ticket. VIP tickets are also on sale for €49 and include backstage access where drinks are half price and you can cosy up with industry insiders. These tickets can be used any Saturday throughout the season, so do yourself a favour and think ahead for next summer. You will be happy you did. Full details below.